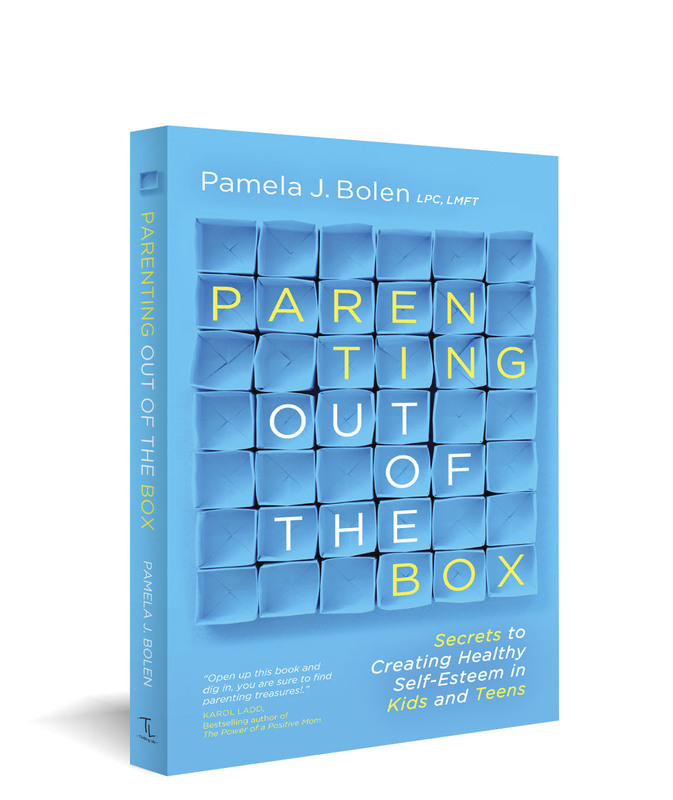 Psychotherapist Pamela J. Bolen is a popular speaker at churches, school districts and corporate events. Speaking since the age of 17 with a conviction that her audience must be entertained if they’re going to learn anything, her down-to-earth and humorous style is an instant hit wherever she goes. Frequently found teaching classes in churches, school districts and corporations including the Ford Motor Company. Her most requested talks include “Opening the Box to Your Child’s Self-Esteem,” based on her book PARENTING OUT OF THE BOX, “What to Do When the Shrink is Out,” “What Do We Do When the Lid Flies off the Blender,” and “Surviving While Loving an Addict.” She has just written her first book based on her most popular talk entitled Parenting out of the Box. She has also been interviewed on television and radio, including an extended guest hosting stint at a Ft. Worth radio station. She was also a long-time contributor to CrossTalk magazine. In addition to her speaking and writing, Pamela actively counsels individuals, couples and families and has been in private practice for over 30 years. Her credentials include Licensed Professional Counselor, Licensed Marriage and Family Therapist, Board Certified Clinical Hypnotherapist, and Certified Mental Health Service Provider in the field of Sports Counseling. All her licenses were achieved in the state of Texas. Throughout her entire career she has counseled with troubled teens, including several years at the Tarrant County Juvenile Probation Department in Fort Worth, Texas. From there she worked the Emergency Room in the Crisis Stabilization at John Peter Smith Hospital. Pamela then went on to begin her private practice and taught Psychology classes at Tarrant County College Northwest Campus. She has also worked as an individual, family, and group counselor at Millwood Hospital in Arlington, Texas and Charter Hospital in Grapevine, Texas. Pamela graduated from Texas Wesleyan University in Ft. Worth, Texas with a Bachelor’s degree in Psychology. She then attended Texas Woman’s University in Denton, Texas and graduated with a Master’s in Psychology. She has been married for 26 years. Pamela and her husband, Carlos, have 3 children. They live in a suburb of Dallas/Ft. Worth. Her favorite hobby is playing practical jokes on those she loves.